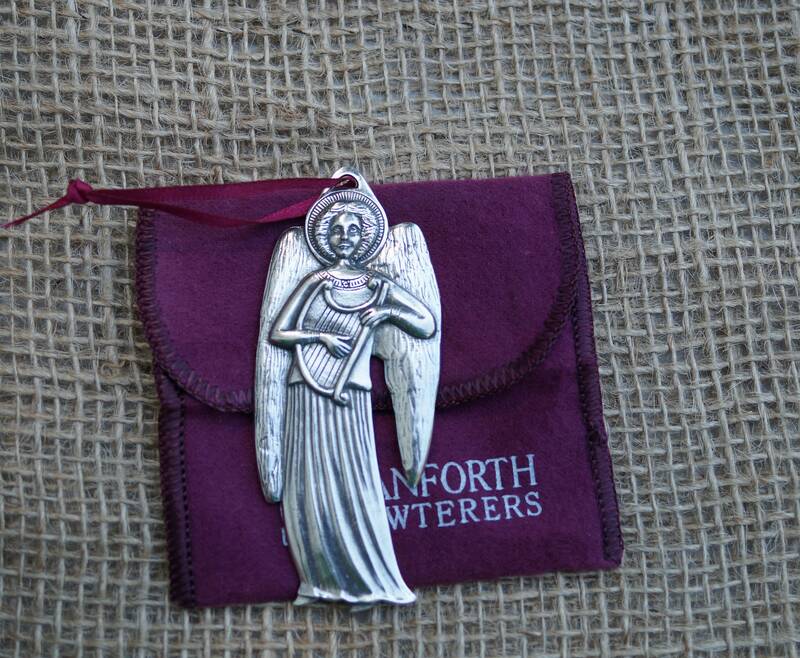 Angel with Harp Danforth pewter Christmas ornament. 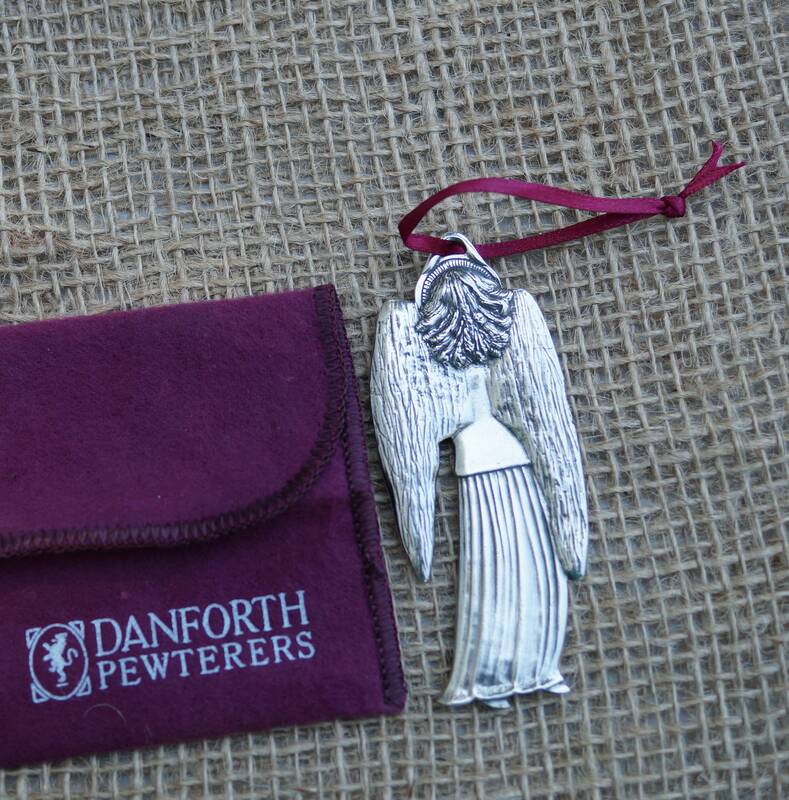 Measures 1 1/2 in. wide by 3 1/2 in. high.